Theresienstadt or Terezín in the Czech Republic is a fortified town sixty kilometres to the north of Prague. At the Wannsee Conference in January 1942, the Germans chose Theresienstadt as a “Model Ghetto” for Jews over 65 years old, Jewish veterans from the First World War, and known personalities. The Nazis declared the camp a “ghetto under Jewish authority”, appointing a council of elders with a chairman, but under the authority of the SS. In reality the camp was just another staging post on the way to Auschwitz or Birkenau. Due to the presence of numerous interned professors, artists and writers, there were school and cultural activities, such as lectures and concerts. During the life of the ghetto, over two thousand four hundred lectures took place on such varied topics as the Jews of Babylon, the theory of relativity, Alexander the Great and German humour. There was a functioning library with 49,000 books that had been brought from various collections and homes in Germany and different groups performed theatre. There was even a police force, a fire brigade and several other civic services. One prisoner wrote, “Life could seem almost normal here”. 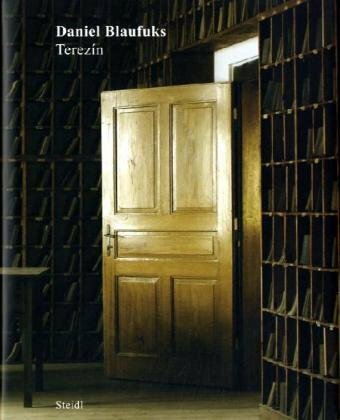 Terezín is Daniel Blaufuks’ personal travel and research book on the history of the Nazi concentration camp of Theresienstadt.